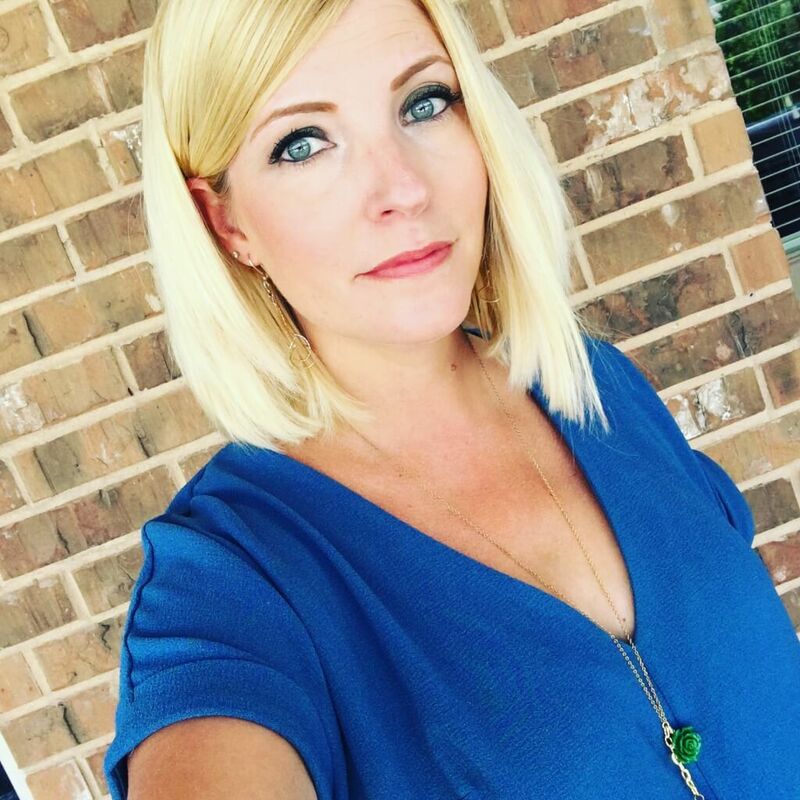 At my recent clothing swap party – which I blogged about over on Houston Moms Blog (but which is applicable no matter where you live!) – I shared a little with my guests about why clothing swaps are a good idea – namely as a step away from fast fashion and towards a more sustainable garment industry. 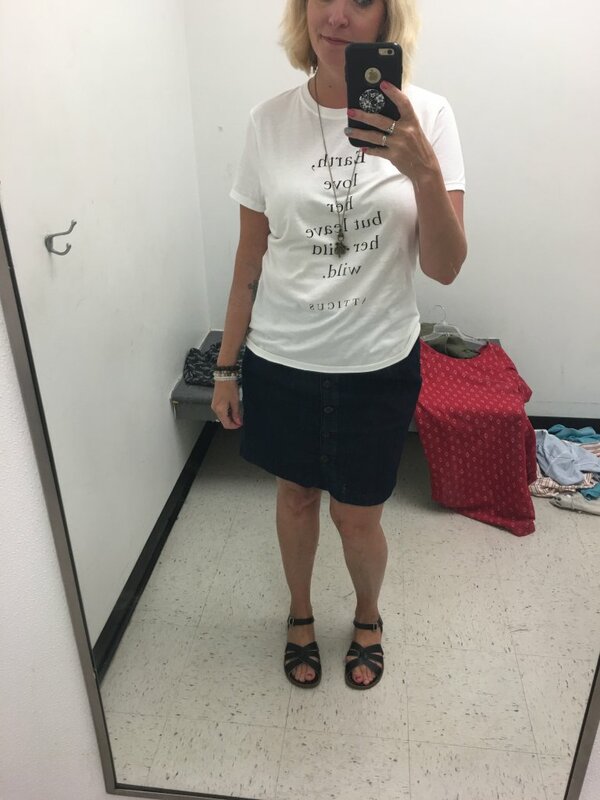 I must have done a good job telling people YOU HAVE THE POWER TO MAKE A DIFFERENCE AND CHANGE THE WOOOORRRLLLLDDDDD because my friend Marsha asked me to take her thrifting instead of heading to the mall to buy a few basics. Naturally, I was happy to oblige! Marsha was mainly looking for some “new” jeans and sandals. I tried to impart some thrifting words of wisdom along the way without dumping everything I’ve learned on her all at once! 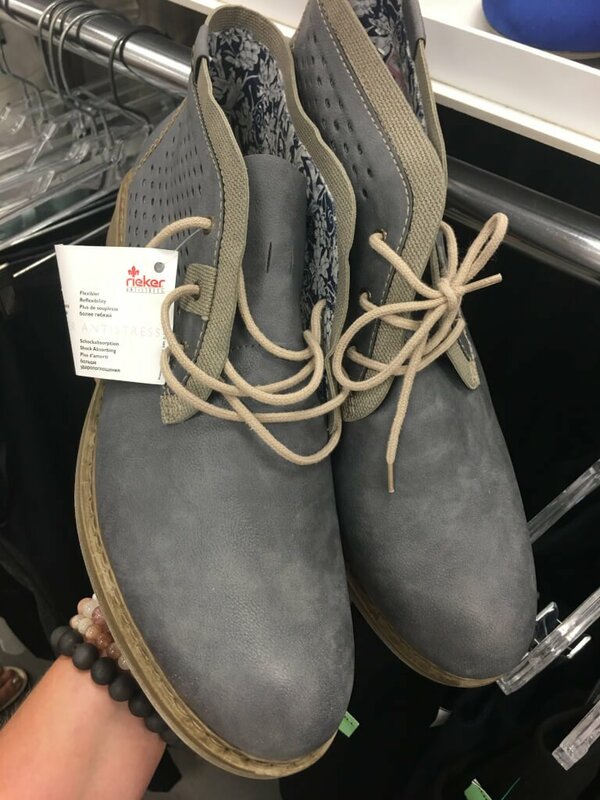 And so, we started by browsing the shoes – my standard recommendation – so that you can wear your selections around while you shop to get a gauge on comfort. Cute little flip-flops in great shape for 99 cents! These are a good example of how secondhand is not necessarily cheaper than regular retail. You can get flip-flops from the dollar store HOWEVER buying them secondhand extends the life of *this* pair and saves them from an early trip to the landfill. She also wore these sandals around but ended up passing on them due to the poor fit in the heel and some wear in the toe piece. As I told Marsha, you NEVER have to settle for pieces in poor condition when thrifting. Just be patient and you will find what you’re looking for in great condition! There were TONS of quality pairs in new condition in size 41! I hope some lucky lady discovered the shoe treasure and took them all home! After the shoes, we browsed the jeans and other pants, shorts and top sections. We concurred that crotch ripples (you know, that wavy things pants do in the crotchular area when they’ve fought the good fight and are ready to be retired) are an automatic no for any kind of bottom! I encouraged Marsha to look at the garment rather than the tag. Often an irregular fit is what leads an item to be donated. I also quickly scanned the size above and below her usual and we found several pieces that were in the wrong place! We did not thoroughly comb through all the sections and sizes – I did not want to scare off my new friend! I want a thrift gang here! Sure, there were plenty of no’s but Marsha was willing to try everything I suggested and she found some keepers! 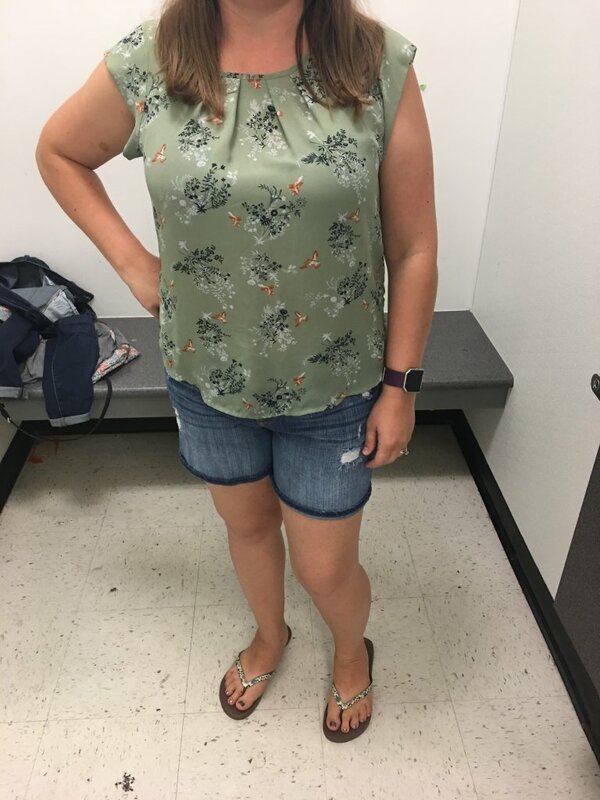 She found a cute printed top and pair of denim shorts – you can never have too many here in Texas! #alwayshot Notice how they match the flip-flops perfectly! 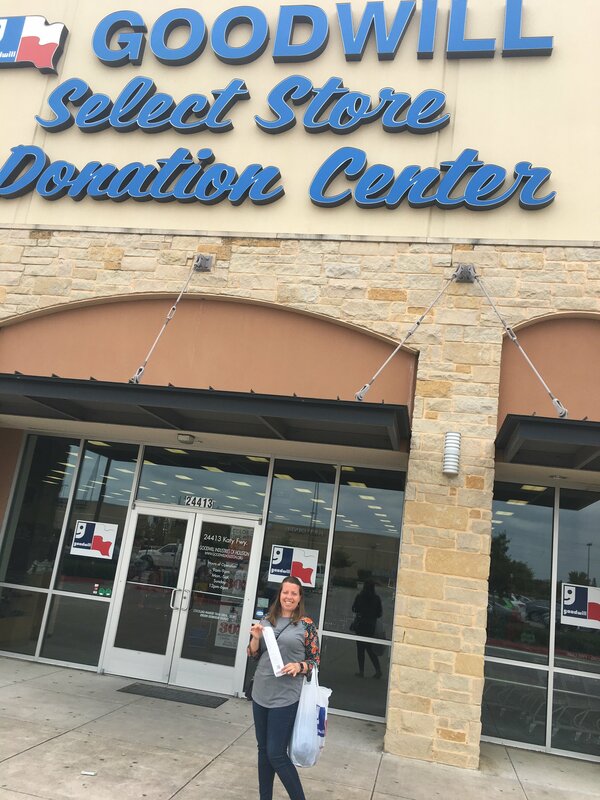 She accomplished her mission of finding a great-fitting pair of jeans for $6! AND a pair of boyfriend jeans with just the right amount of distressing! 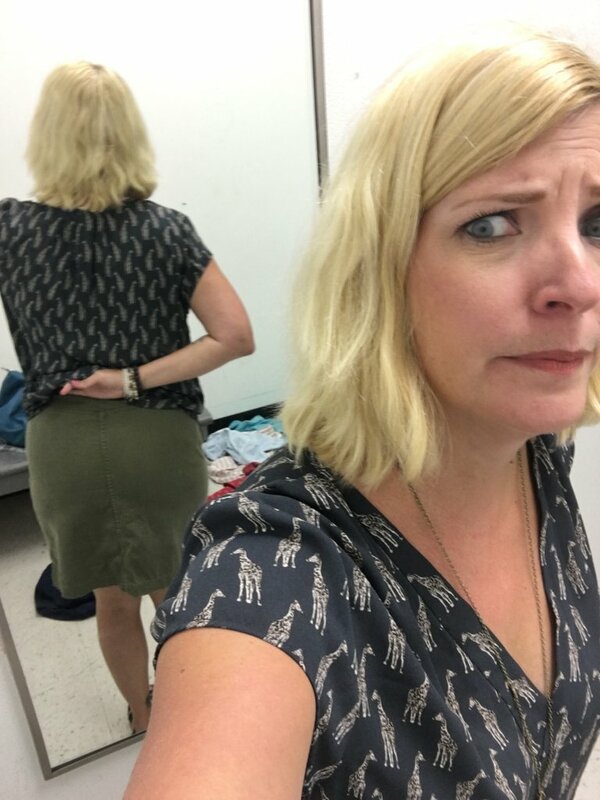 Since I was shopping with a friend and not trying to be all professional, I tried on Marsha’s rejects! That’s a lot of rear-end with no pockets, no seams or tailoring. It just wasn’t flattering from the back. This cotton dress photographs fine but basically felt like a hospital gown which is *never* the vibe I’m going for. Couldn’t help but snap a #thriftedootd shot featuring my Thred Up tee! All in all, Marsha scored 8 pieces for $34.59 which is an average of $4.32 per piece!!!! 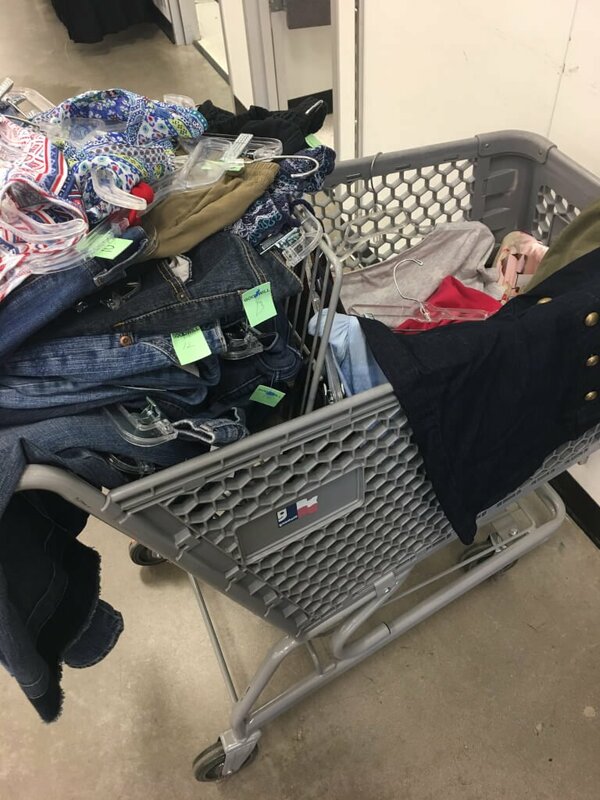 Marsha experienced so many great benefits of slow fashion including a bottom line that is virtually unheard of in regular retail!! And so, may I present my very first Houston Slow Fashion Convert!! LOVE your blog! Super inspired by it. Thank you and please keep the content coming! Thank you!! I’ll do my best to keep it coming but when life ebbs and flows there are 5+ years of archives! 😉 Thanks for reading and commenting! 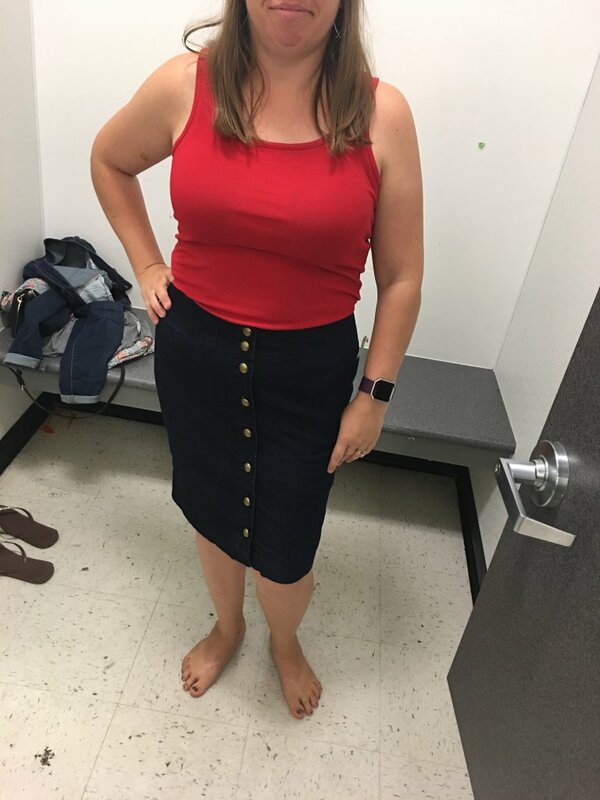 Your friend’s finds are so well fitted and cute, especially the denim skirt! 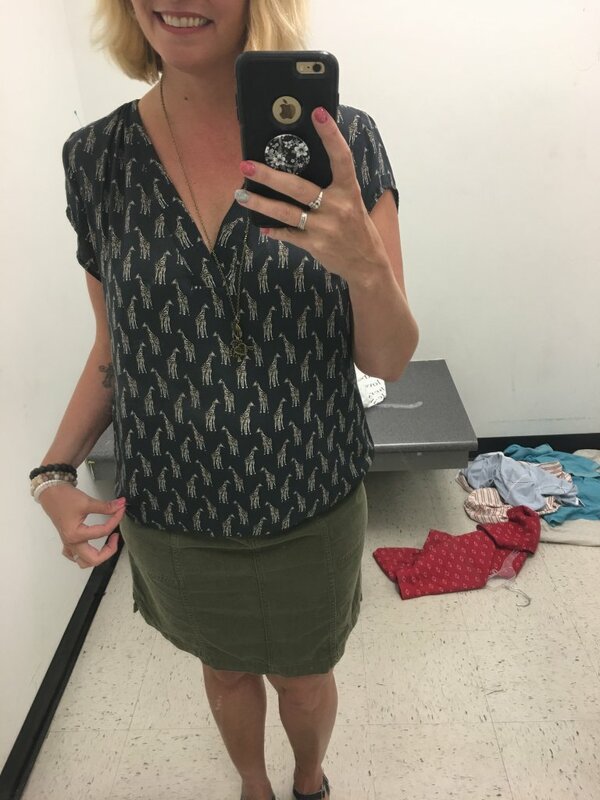 Love the giraffe top too, it looks so fun! That’s what I thought – everything she selected fit her perfectly! 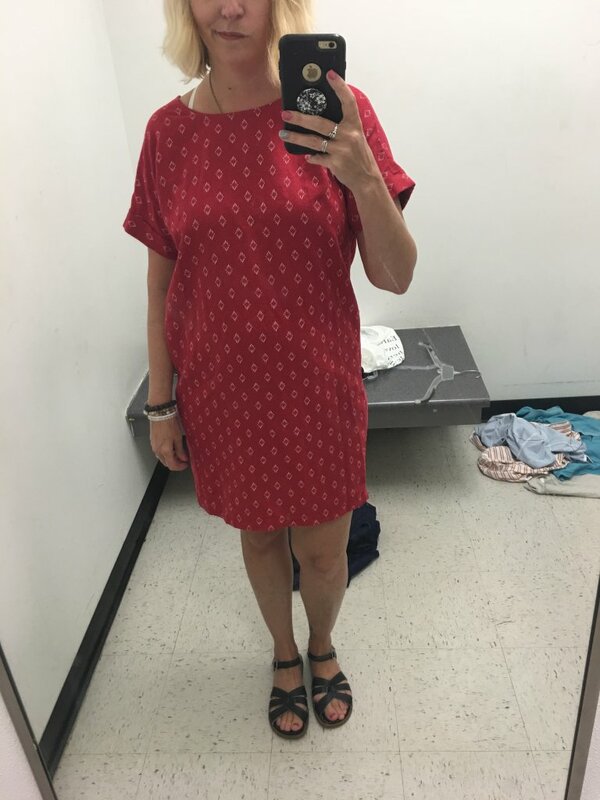 When thrifting, you have to ignore what the tag says and just try things on! Sooner or later you’ll hit the jackpot! Thanks for your comment!